Russia's largest oil company Rosneft may be fully privatized in three to 10 years' time, President Putin's aide Igor Shuvalov said on Sunday. In July Rosneft sold 15% of its stock to investors in London and Moscow, raising $10.6 billion, in the world's fifth-biggest initial public offering. Shuvalov said more equity could be sold but that after full privatisation no portfolio or strategic investor would hold more than 10 percent of Rosneft. He gave no date for any further share issuance. 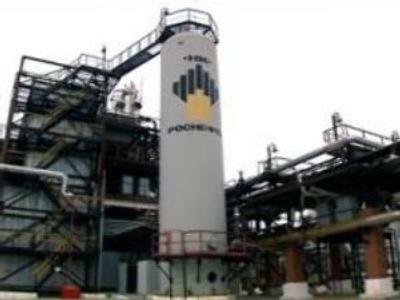 Rosneft's Chief Financial Officer Peter O'Brian denied last week that the company planned to place more shares in the near future. He also said Rosneft planned to fund expansion via borrowings and expected at least 50 percent of Rosneft to remain in state control in the long term. Anton Lushnikov, of Moscow-based investment company Metropol IFC, told Business Today that the Russian government aims to show that it is open and allows large foreign companies to have their own share of the Russian oil market. He said, however, that even after they are privatised, significant stakes in Rosneft and Gazprom would be owned by Russian holding companies and business figures close to the government.